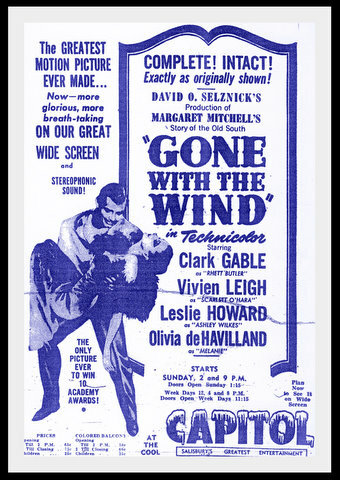 Mike Cline's THEN PLAYING: THE MIGHTY "WIND"
Since it's Atlanta premiere in December 1939, it's always been considered the yardstick by which all movies are measured. 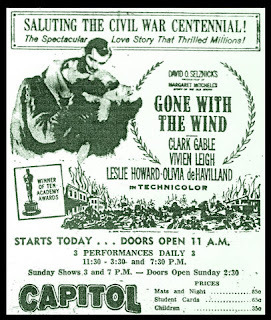 It held the box office receipts record for nearly thirty years. 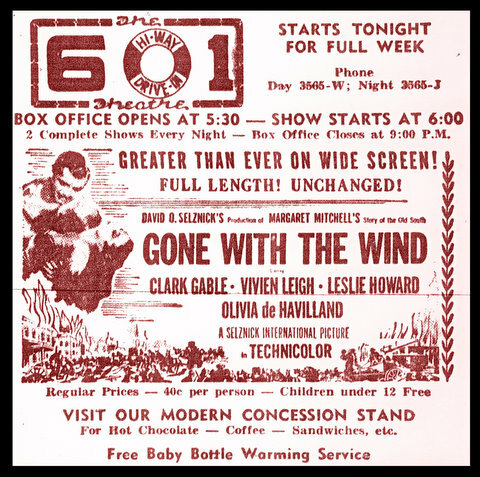 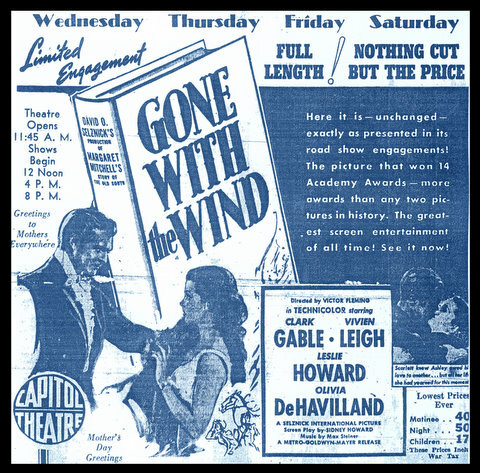 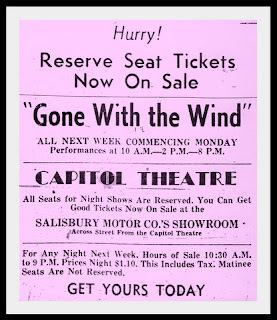 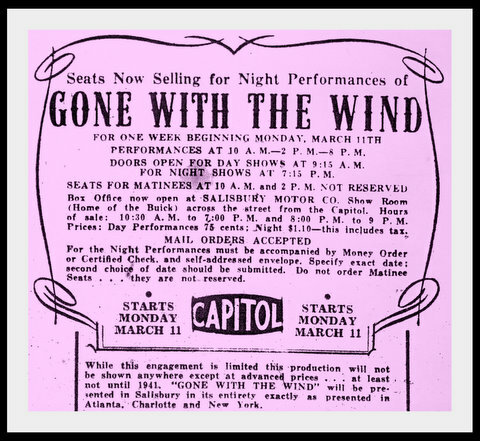 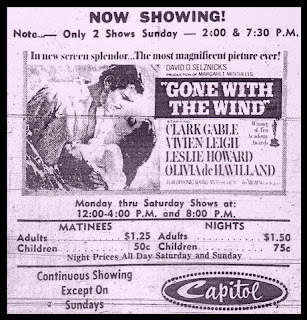 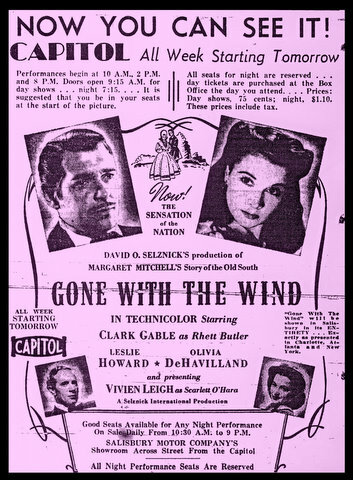 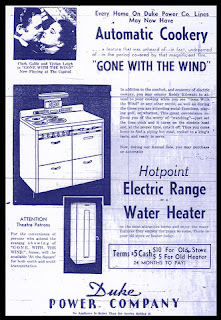 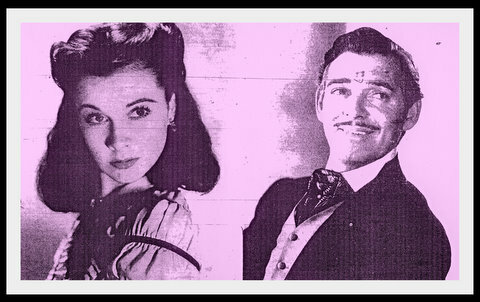 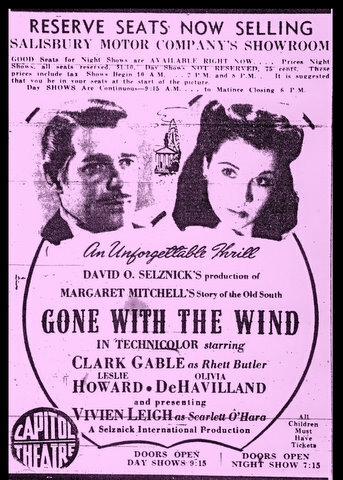 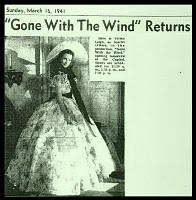 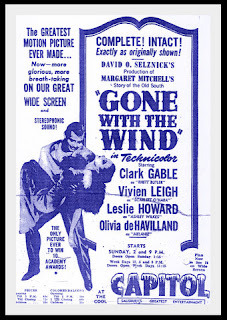 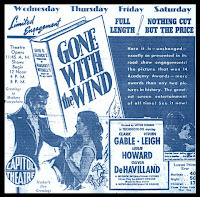 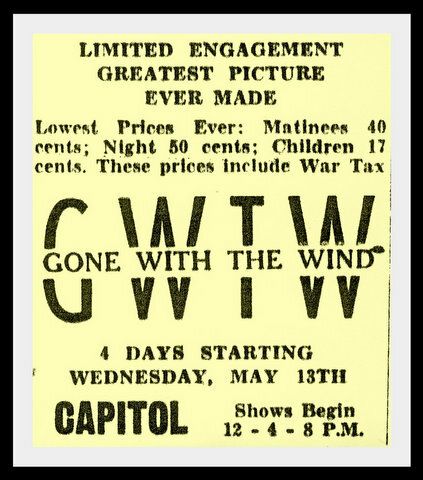 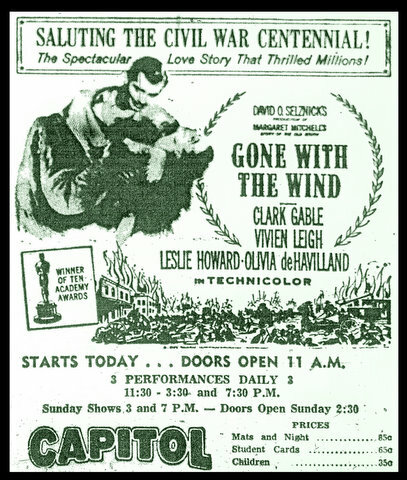 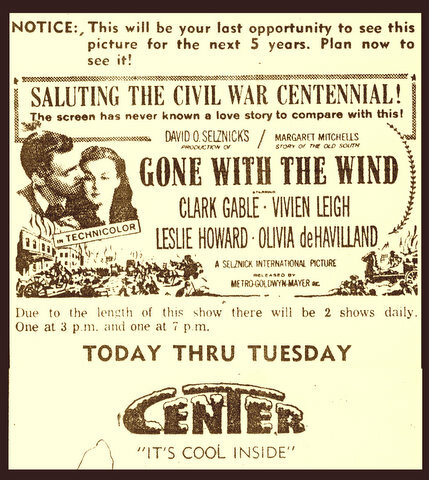 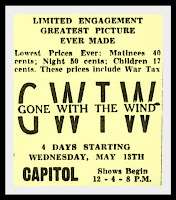 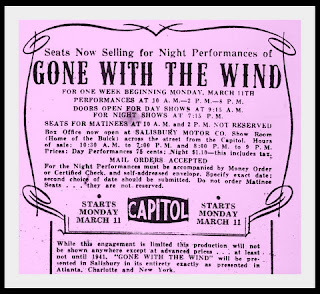 And, in spite of higher ticket prices for newer films eclipsing its record, to this day, GWTW has still sold more movie tickets than any other movie. 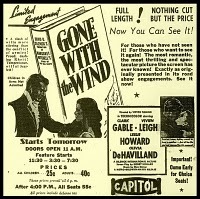 The movie first went into general release in January 1940. 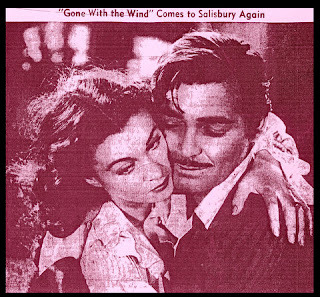 Salisbury got it two months later, an incredible feat for a small town. 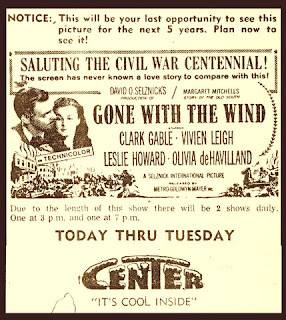 And throughout the next thirty-six years, it played at local theatres thirty times.